Gillian McDaniel has wealth, owns a successful advertising agency and a mansion in La Jolla, California -- everything except a love life. And now she's received devastating news: she's been diagnosed with a fatal form of ALS and will be dead within six months. 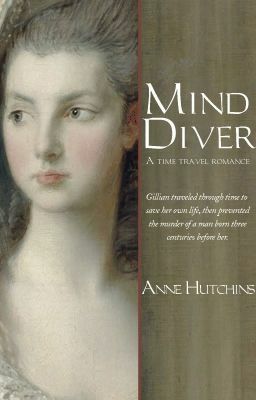 While watching a daytime talk show featuring a channeler who mentions 'mind diving' one's consciousness into the body of someone in past, Gillian feels a flicker of hope, despite the outlandish concept. She is desperate and willing to try anything, no matter how ridiculous it sounds, if nothing more than to keep her mind off her fate. Gillian learns that the channeler, Audrey Maher, owns a store filled with new age items in Sedona, Arizona. She meets with the reluctant woman, but manages to convince her to help Gillian journey to the past using an 18th century battersea box as a guide to the beautiful young girl depicted on the tiny box. Unfortunately, an internet search reveals that the young girl and her lover are destined to be executed for the murder of the girl's husband, an earl. Gillian decides to go ahead with the mind dive despite the dire news. She tells Audrey that dying a quick death by hanging at Tyburn Tree would be preferable to dying a slow debilitating death in this time. But there's a chance that she might also be able to save a man's life, as well as her own. Gillian is betting on the latter, because time is running out for both of them.